He was born in Saitama Prefecture. Architect, martial artist, and Qigong home. It meets Qigong in one's thirties, the lumbago of the chronic disease is overcome, and original Hou is thought out afterwards. It has the classroom in Saitama and Tokyo, "New Qigong clinic" is established in Tokyo, and guidance and the sickness of the junior are treated now. The lecture circuit of the breath method and posture is done aggressively by Waseda University, Aichi Prefectural University of Arts, other universities, groups, and establishment, etc.Moreover, it serves as a special lecturer in music of the Shiga Kogen highlands summer held every year. 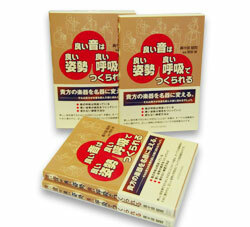 There are "It is mama teacher's Nao treatment in all diseases" and "Qigong that takes Cori" (Goma Books) in the book. *It quotes from the preface of a score cover. 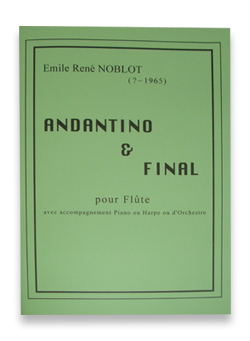 "ANDANTINO&FINAL" of the Emile Rene NOBLOT is found out of the score which the late Mr. Andre Jaunet possessed, when I visit Mrs. Jaunet of Zurich in the late autumn in 1997. Although ANDANTINO&FINAL consists of two movements greatly, ANDANTINO is already contained also in many collections of music, and fundamentally [ as famous "Melody of NOBLOT" ] the same. 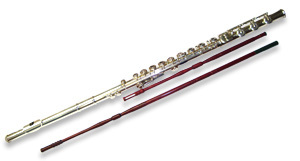 In Kawabe Flute Kobo, you can buy flute and piccolo , and domestic and foreign additionally a famous manufacturer . Please consult by all means when you buy musical instruments. 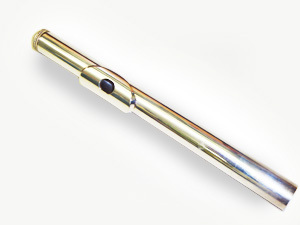 "The headjoint in which the new possibility of a flute increases. It seems that this headjoint was purchased in a tentative way also at a Japanese certain art college. Practical use beyond a classic, jazz, and a genre may take place." 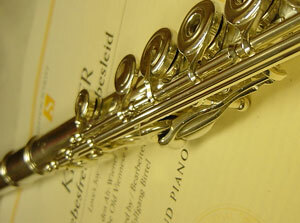 It is adjusted and is the alto flute of the beautiful article. to the brass instrument such as the trumpet, horns, and trombones. 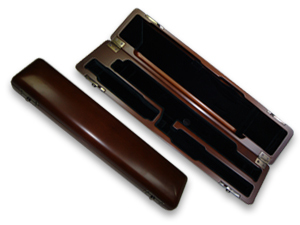 It is felt that the movement of the sound smoothes, and the tone series is graceful. "The omission changed and the improving sound changed." "The sound of the flute lightened, and the sound became graceful. " "Weight feeling of the sound" changes only because it installs it in the head tube head screw. 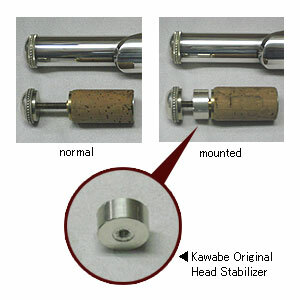 The sales price of "Kawabe Original Head Stabilizer" gotten popular was revised as the market price of recent gold and silver soared. Humbly, please get understanding. ･The sound of the bass becomes rich. First of all, please try this. ･Bottom parts of the notes do not ring. ･It is felt that the sound is thin. First of all ..one where it wants it.., the thickness to the sound of the current state must consult. Additionally, the orders for weight other than the above-mentioned are received. 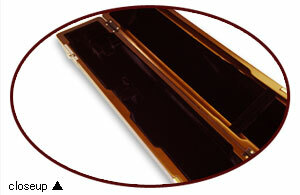 * A further effect can be actually felt by using it together with Resonance Pad. Ulf-Dieter Schaaff is using it, and, recommending it to the apprentice. 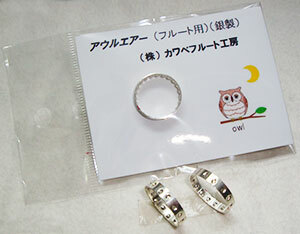 * On sale [ in the object for clarinets, the object for ASax, and the object for TSax ] otherwise!! The Be-Be sound (galaxy sound) is made up without the processing of the head sedges of musical instruments that have it. *Please inform me of the manufacturer name of the installed head sedge. 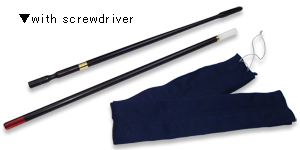 Kawabe Original "Pouch de Swab"
The ease of wiping which is not until now!! 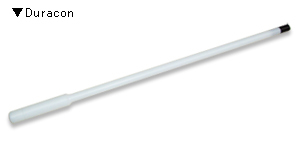 Birth of swab only for musical instrument care!! 1.Since it is double-sided specification, rough wiping is made on the surface and finisshing wiping is made with the back. 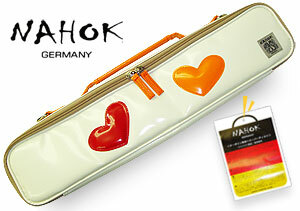 Since it is a bag type, a musical instrument can be wiped firmly. 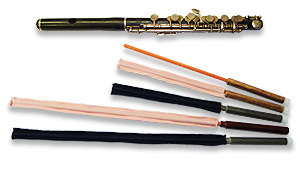 2.Since it is fragrance specification, musical instrument care becomes pleasant. 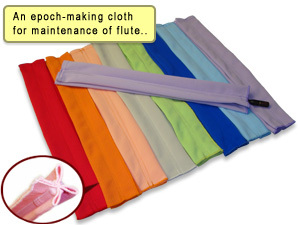 Exclusive cloth gentle to a musical instrument is a new appearance. 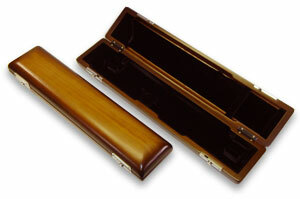 If it folds up, storage also in a musical instrument case is possible. Great popularity. 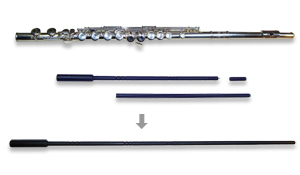 It crosses the maintenance of the flute epoch-making. Fresh color was added in 2012 and the variation became 17 colors.. The moisture that doesn't fall in gauze either is wiped down and taken if this crossing. 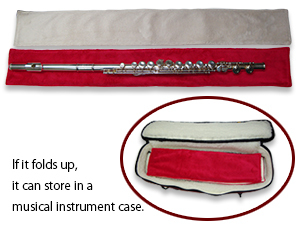 *It receives it in the order for the alto flute. A color variation is 17 colors! 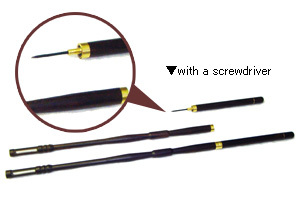 The slot of a Kawabe Original cleaning rod is observed!! I was easy to repair and "cleaning crossing" became being hard to shift by this slot. "Since crossing does not shift, care is possible for an easy top firmly, and it is very pleasing." 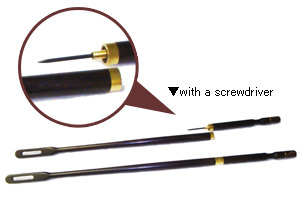 *Please inquire about original rod. 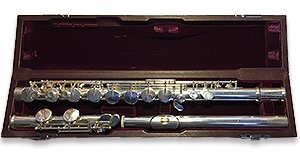 Quite new cleaning crossing of flute piccolo. ･Wiping moisture off can be steady. ･It easily enters the case. ･Because crossing is washed, it is clean. 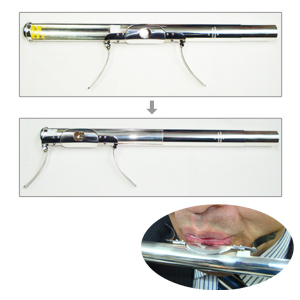 In order to make sound of a flute into best condition, we recommend you about one cleaning for a head section lip portion with a mousehole cleaner at one week. Important musical instruments are guarded by a certain making. *It responds to the consultation of the price! 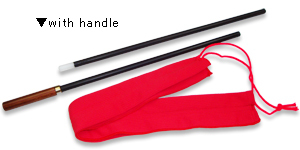 - A super-tilt is originally used with a special cloth using the string of trademark "[Torebira]" given only to the highest, strongest commodity of the Europe Kosa company with the honor for the place in which it attached importance to the safety of the equipment of the large-scale dome tent and the airport etc. 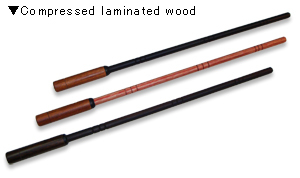 - Because a super-tilt is strangled to the utmost limit by the nonconventional machining of the filament string, strength has strength of three times past sailcloth and the terpaulin, and is excellent by the durability to natural conditions of rain, the style, and heating, etc. - In a super-tilt, the color variation that can put out the goodness of the shade and [hatsuiro] with a peculiar depth in addition only in a European manufacturer with feeling of luxury is charm. 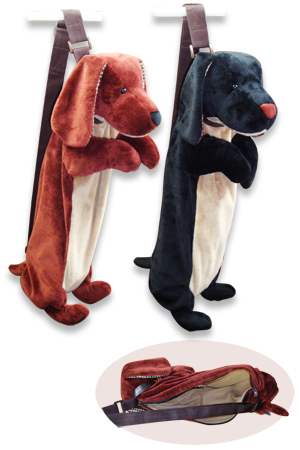 - A super-tilt weaves plainly or is a Panamanian weaving woven of two of weaving of one. In addition, because the string pressed to become a flat square by a special technique is exactly woven, it is not uniform like a past terpaulin of strength and there is neither disorder of weaving nor a ragged feeling, and becomes beautiful surface finish. - An advanced, special coating is given as for a super-tilt after the powerful adhesive is spread, and a smooth vitriform material feeling has gone out. In a word, a past terpaulin only of the processing of the coating with the heat roller is a great difference, and an extremely complete product in flaking off, the tensile strength test, and the paddy test, etc. 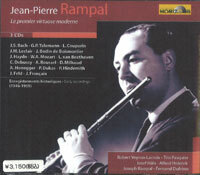 The following CD is being put on the market by the Rampal Society. 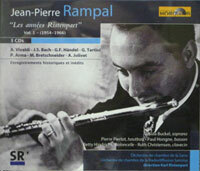 Neither is a valuable recording of the Rampal glory period. Please apply for hope with Mail after describing the order number and the where to make contact clearly after it buys it. The carriage is separately received. 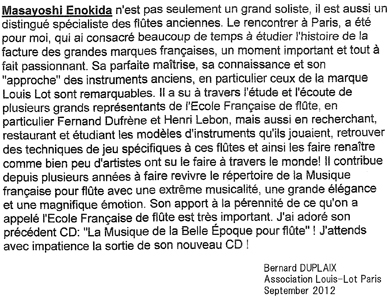 The high-quality sound which laying on heart "Louis Lot" of the time of the 2nd phase composer of CD of the Mr. Louis Lot player "Enokida" great desire which stood high brews is Paris. The Louis Lot association is also extolled. 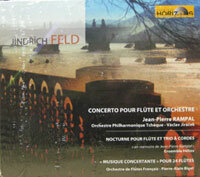 It is CD indispensable to a flute CD library. 6. -CHANSON SANS PAROLES- Tchaikovsky/Taffanel ver. 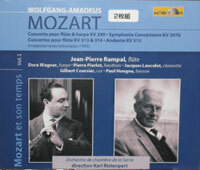 He studies under Mr. Andre Jaunet in Zurich Conservatory. And in GuillebaudConservatory of London, it studies under Mr. William Bennett. He is awarded the topmost peg (the 2nd place without the 1st place) by a Maria Canals international music competition. 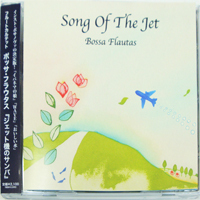 He played an active part as an Osaka philharmonic orchestra top flutist from 1980 to 2010. It collects in the Cube Hall, Muse Tokorozawa. and translated Trevor Wye flute textbook series. 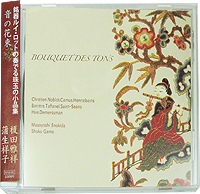 and He began the duo with Manami Inoue in 1992.
and took charge of the music of "Kaido wo yuku" of NHK･BS2 in 1998. 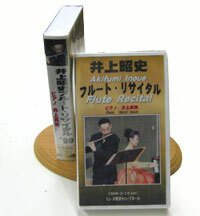 *The sales page of the flute and goods publishes the new item in succession. Please expect it.